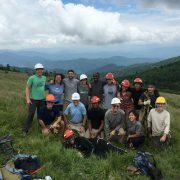 We are entering the fifth year of coordinated efforts to manage invasive feral hogs in the Highlands of Roan. 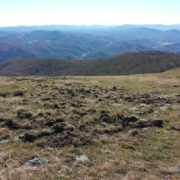 These invasive feral hogs damage the fragile, globally important ecosystems of the Roan as they “root,” eating rare species and tearing up the terrain. 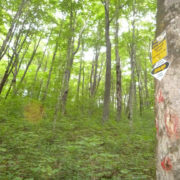 They also spread multiple diseases and pose a safety threat to outdoor recreation enthusiasts. 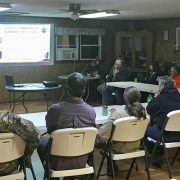 In November, the Feral Hog Working Group, part of our ongoing collaborative Roan Stewardship efforts, met at the SAHC office to discuss updates and plan future work. Feral Hog Working Group partners represented at the November meeting included: U.S. Dept. of Agriculture Animal & Plant Health Inspection Services NC (USDA APHIS TN), U.S. Dept. of Agriculture Animal & Plant Health Inspection Services TN (USDA APHIS TN), NC Wildlife Resources Commission, NC state parks, TN Wildlife Resources Agency (TWRA), TN Dept. 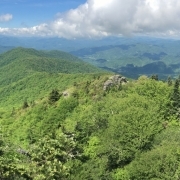 of Energy and Conservation, The Nature Conservancy, Cherokee National Forest, Pisgah National Forest, Appalachian Trail Conservancy, and private landowners in the Highlands of Roan. 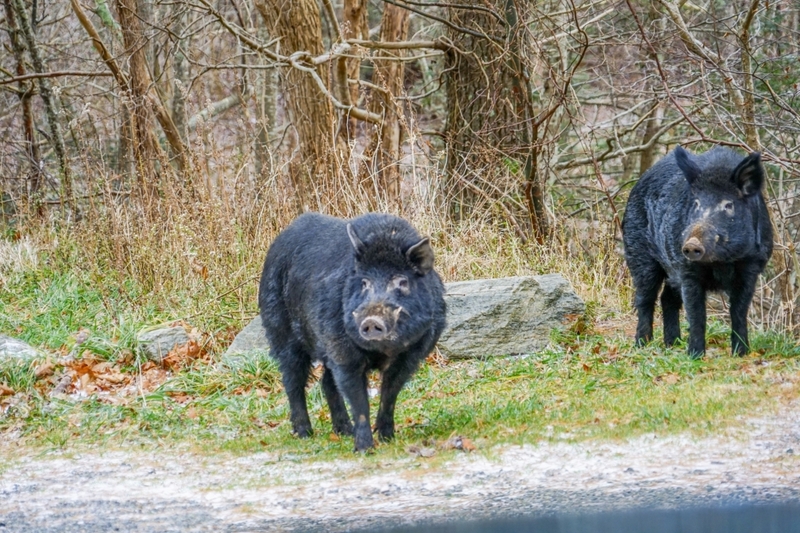 Although trapping efforts have removed 40-50 feral hogs from the Roan each year, it’s still not enough to effectively control the population — which would require more time and resources than currently allocated. The working group plans to continue to actively trap and remove feral hogs. People are asked to report feral hog occurrences to 1-866-4-USDA-WS. 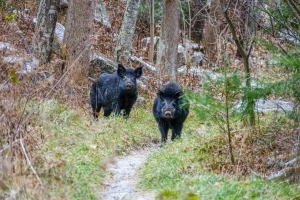 Last fall, SAHC’s Seasonal Ecologist, Travis Bordley, photographed feral hogs standing on the Appalachian Trail near 19-E in Carter County, TN, and immediately reported the sighting to TWRA and USDA APHIS in TN. 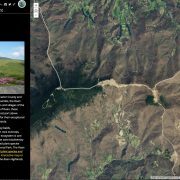 Partners in the Feral Hog Working Group undertake a collaborative effort to address the threat – pooling data, reports and wildlife camera imagery to analyze the population growth, movement, and impact. This year, the partners plan to focus on data collection in order to inform plans for managing these invasive hogs. During the partial government shut down, plans for feral hog control temporarily stalled, as many of our federal agency partners were on furlough. 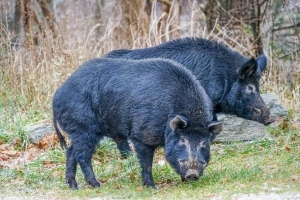 Unfortunately, federal agencies were prohibited from trapping the feral hogs during the partial shutdown, and winter is the best time for trapping to control feral hog populations. We look forward to seeing this back on track. Invasive hogs can be aggressive, especially when defending their young. They may weigh up to 300 lbs, have sharp tusks, and can charge very quickly. Be alert! Know the signs and tracks of hogs and avoid heavily used areas, especially at dusk or dawn when hogs are most active. 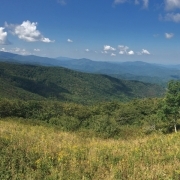 Feral hogs have been spotted ON the Appalachian Trail in the Roan, so please use heightened awareness when hiking in this area. 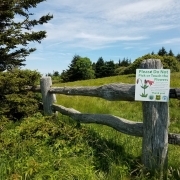 Avoid water sources that have been used by invasive hogs – humans can contract multiple diseases from water sources contaminated by hogs and their feces. Hogs will generally try to avoid contact with humans, but may become aggressive if surprised, especially if piglets are present. If you encounter a hog on the trail, re-route your hike to avoid them. 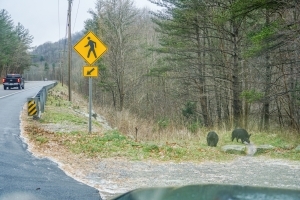 If a re-route is not possible, keep a safe distance and wait for the hogs to leave before continuing. If faced with an aggressive hog, the best option for protecting yourself is to climb the nearest tree. If directly charged by a hog, you should quickly sidestep out of the direction of the charge and climb the nearest tree or boulder. If using a firearm to protect yourself from a feral hog, ensure that it has enough knock-down power to be effective (otherwise it may be best to avoid the encounter and move to safety instead).